I have grown this sweet smelling plant for several years thinking it was a Sarcococca but comparing this photo to others on Google images I am now having doubts. 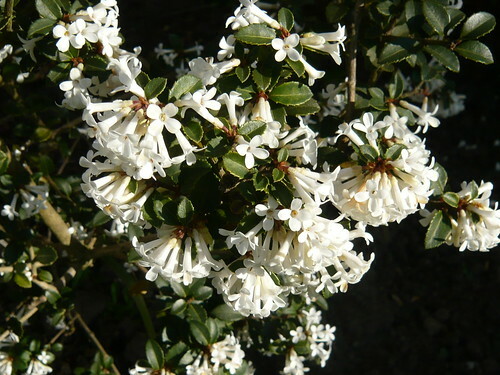 Sarcococca Hookeriana aka “Himalayan Sweet Box” is evergreen growing and flowering in light shade. 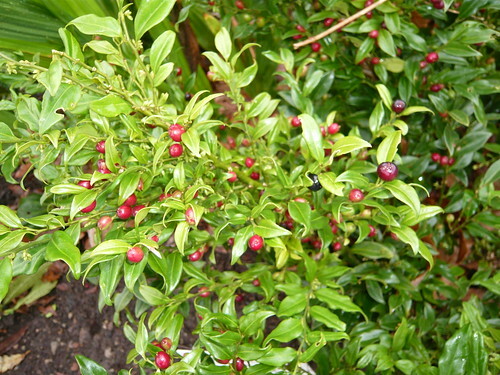 Sarcococca Confusa aka Christmas Box or Sweet Box are evergreen shrubs with simple, leathery leaves and tiny, fragrant creamy-white flowers in winter or spring, followed by red, purple or black berries.